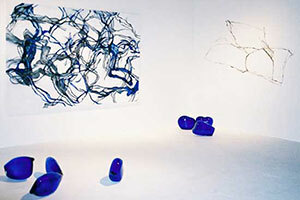 This is Gallery 6 which is the Public Art of Julie Lazarus. 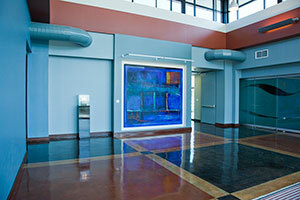 City of Fort Worth: The artwork consists of two components, the first installed inside the building lobby and also visible from outside the building, is a painting, oil on canvas, approximately eight feet, six inches high x nine feet wide. 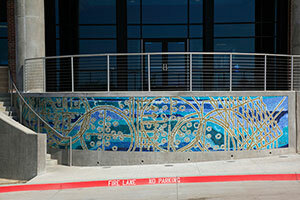 The second component, in the form of a glass mosaic mural, approximately six feet high x 36 feet wide, adorns the curved concrete wall that wraps the building entry ramp. 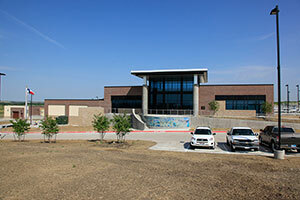 Project was completed in 2012. 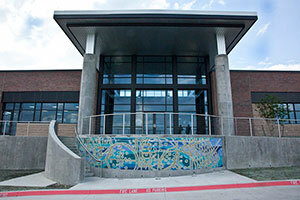 Contracted by the city of Fort Worth in 2009 to fabricate, deliver and install public art for the Westside Water Treatment Plant. The design for the artwork uses translucent, rich hues of blue and subtle abstracted, geometric imagery to capture the essence of water circulation and the plant's state-of-the-art filtration and purification processes. 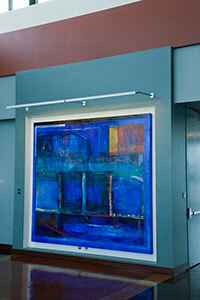 The artwork consists of two components, the first installed inside the building lobby and also visible from outside the building, is a painting, oil on canvas, approximately eight feet, six inches high x nine feet wide. 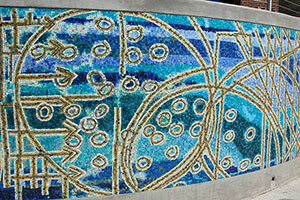 The second component, in the form of a glass mosaic mural, approximately six feet high x 36 feet wide, adorns the curved concrete wall that wraps the building entry ramp. 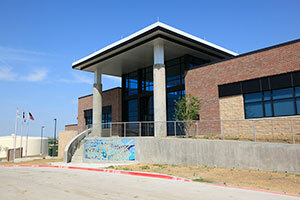 Project was completed in 2012. 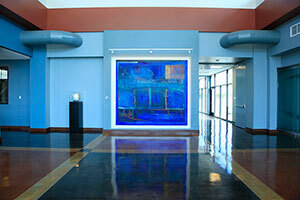 Oil on linen "Membrane Technology-Sources/Filtration" 8'6"x9'4"
Beth-El Congregation, Fort Worth: Collaborating with architect, designers and contractor, I designed sanctuary stained-glass windows and bronze arc door. 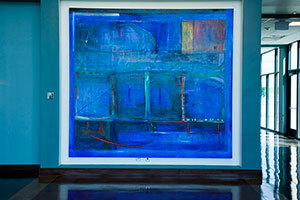 This show was at the 4 Walls Gallery, located at 830 North Commerce Street, Fort Worth, Texas.